On June 5, Standard & Poor's Ratings Services affirmed its 'BBB+' long-term and 'A-2' short-term sovereign credit ratings on the Republic of Bulgaria, the Finance Ministry said in its web site on Thursday. According to the agency's appraisal Bulgaria's outlook is stable. 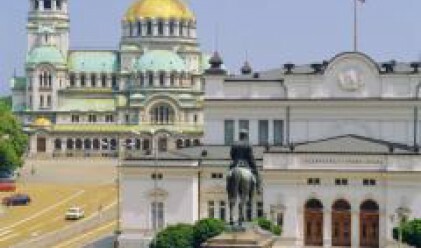 "The ratings on Bulgaria reflect the government's strong track record of appropriate fiscal policy and rapidly declining gross debt, solid growth prospects in the medium term, a relatively strong external balance sheet, and the country's EU membership", said the Credit Analyst of Standard & Poor's Marko Mrsnik. Offsetting these strengths somewhat are a large current account deficit coupled with high inflationary pressures, due among other things to wage pressures. The credit rating agency expects firm policy support to the Currency Board Arrangement (CBA) to be maintained in the wake of high external imbalances and rising wage pressures. The fulfilment of the forecast for a budgetary surplus at above 3% of GDP in 2008 will contribute to a further decline in gross debt to around 14% of GDP by the end of the year. Standard & Poor's Ratings Services expects Bulgaria's current account deficit to decline slightly in 2008, while the net direct foreign investments (FDI) coverage of the current account deficit should remain above 75%. Given the CBA and already high budgetary surpluses, stepping up structural reforms is of the utmost importance for the country to increase its growth potential, reinforce its economic stability, and remain an attractive destination for foreign investors, is the opinion of the credit rating agency. Sustained economic imbalances, a prolonged period of high inflation and loss of external competitiveness could put pressure on the ratings, warns the agency, the Finance Ministry added.